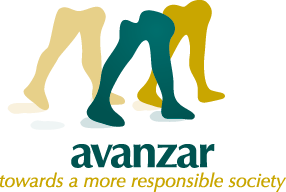 AVANZAR works with various humanitarian and development programs in favor of underprivileged women who wish to improve their lives and those of their families, as well as children with illnesses and their relatives. 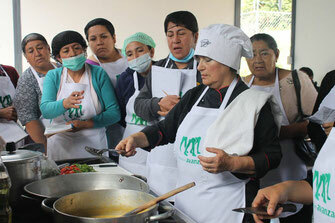 AVANZAR programs offer their beneficiaries the opportunity, the knowledge, and the resources to create for themselves a productive and prosperous life, complete with self-determination, dignity, responsibility and freedom. 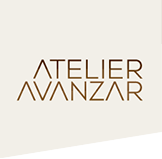 AVANZAR identifies and creates new programs which address the socio-economic demands that are left behind by the governmental and private sectors, and chooses existing projects which need an injection of resources (human as well as financial) in order to develop, grow and succeed. Handmade products elaborated by women who want to improve their quality of life. Courses to professionalize work knowledge and improve personal aspects. 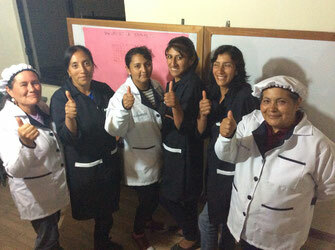 Women can apply for a micro credit to establish her own commercial activity. 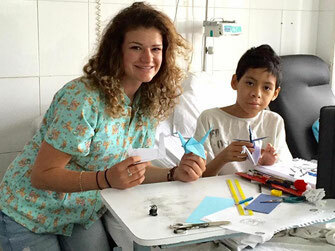 Games library and care for hospitalized children and support for their relatives. Single Mothers Home "Hogar de la Madre y el Niño"
Pasta Fabric at "Hogar de la Madre y el Niño"
Sewing/Costume Atelier & Second Hand Shop at "Hogar de la Madre y el Niño"
Day Care und Kindergarten "José Hidalgo"